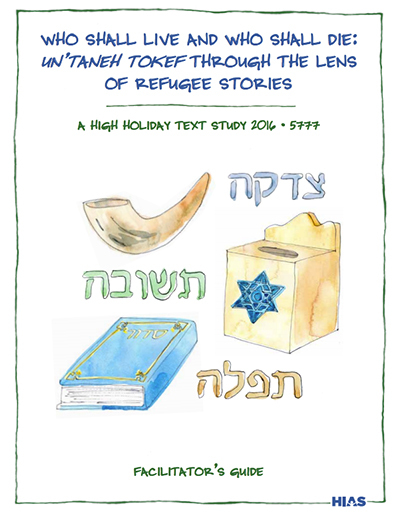 This summer the United Nations High Commissioner for Refugees announced that the number of refugees and displaced people around the world has risen to over 65 million. 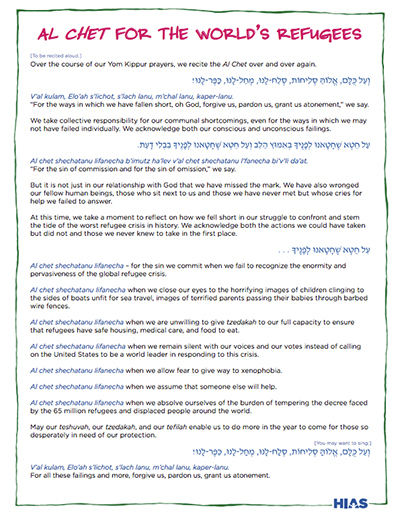 In this season of reflection, we are called to consider how we might respond to the needs of these most vulnerable people. 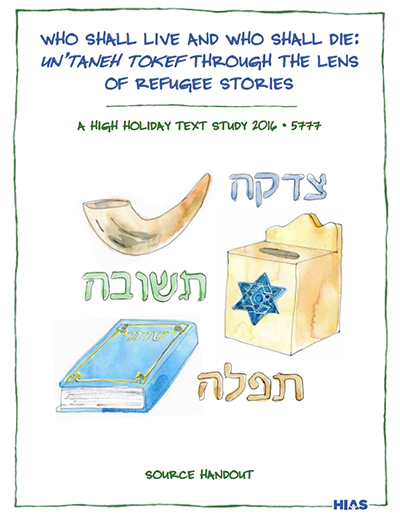 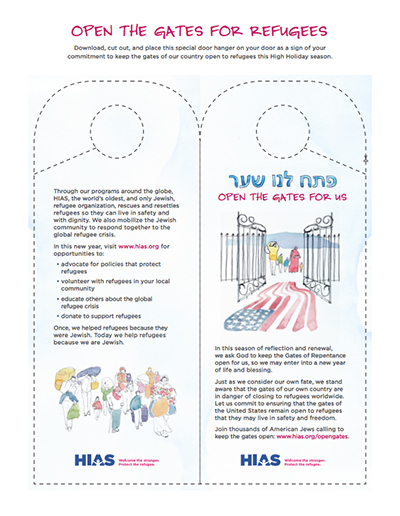 As you prepare for the High Holidays, we would like to offer three new resources from HIAS: a printable door hanger and a liturgical reading and study session for rabbis.